The 2017 Epic Awards winners’ reception took place at the Sage Gateshead on Sunday evening (19 March) as part of BBC Radio 3’s Free Thinking Festival. Goldies Cymru were the winners of the National Wales Award. The Charity runs weekly singing sessions across South Wales, providing the opportunity for people who may be otherwise isolated to enjoy Sing and Smile sessions and build confidence and friendships. An award-winning intergenerational schools programme encourages communication between age groups. The Epic Awards, now in their seventh year, aim to inspire others to get involved and participate in artistic and creative activities. The Awards are run by Voluntary Arts and many of the 63,000 voluntary arts groups it represents have put themselves forward for the Awards. The judging panels in each of the nations selected a total of 32 groups to be shortlisted for the final awards. They are the premier awards for voluntary arts and creative groups across the United Kingdom and Republic of Ireland and groups travelled from all corners to celebrate with each other in Gateshead. 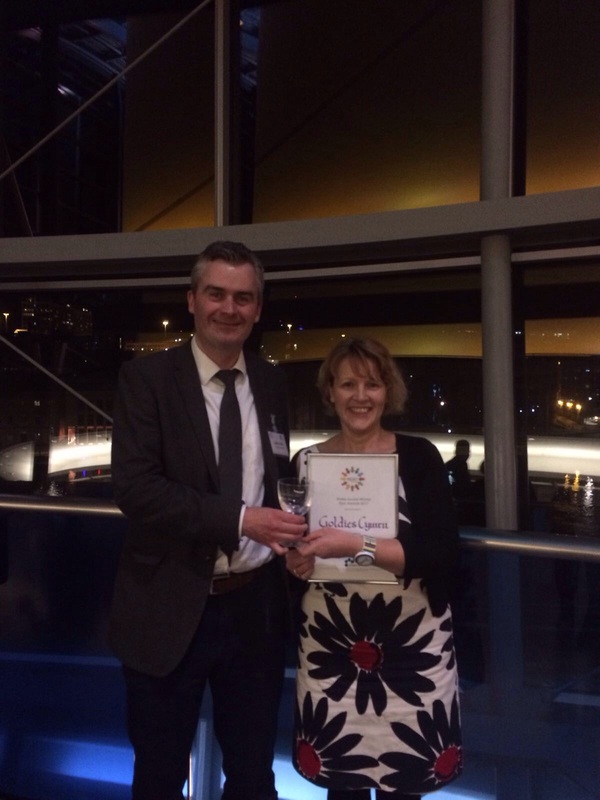 The Award was received by Rachel Parry, Programme Leader for Goldies Cymru. “We are going to celebrate the Award at our Goldies session this THURSDAY March 23 at Rhydpennau Library, Llandennis Road, Cardiff, CF23 6EG. Our popular Goldies session takes place there from 10.30am to 12.00noon and we will celebrate with EPIC Welsh biscuits and a cup of tea!